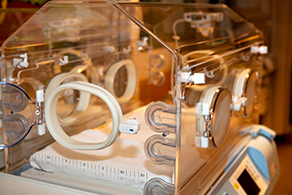 Published in the American Journal of Clinical Nutrition (August 2013), this review attempts to identify the optimal nutrition intervention for VLBW preterm infants. Current research suggests that infants who show rapid growth after preterm birth are at risk of metabolic consequences and cardiovascular disease later in life. On the other hand, postnatal growth restriction in VLBW infants has been found to be associated with decreased brain growth and poorer neurodevelopmental outcomes. Studies have indicated that low amounts of protein during the first postnatal weeks led to severe extrauterine growth restriction. Updated guidelines (2010) from the European Society of Paediatric Gastroenterology, Hepatology and Nutrition (ESPGHAN) have recommended a higher protein supply to compensate for the accumulated protein deficit observed in almost all small preterm infants. The role of postdischarge nutrition for preterm infants was also examined in this review. Recent evidence has shown significant differences in fat mass gain between infants fed regular term formula and normal-energy/high-protein postdischarge formula; the use of a formula with normal energy but proportionally more protein resulted in a significantly lower body fat percentage. The authors concluded that the optimal nutrition intervention for VLBW infants which supports growth and brain development is immediate postnatal high-protein nutrition – this can be delivered through innovative TPN and individualised breast milk fortification. For VLBW infants discharged with suboptimal growth, postdischarge nutrition given by a normal-energy/high-protein formula may lead to a normal body composition, which could help lower the risk of metabolic syndrome later in life.